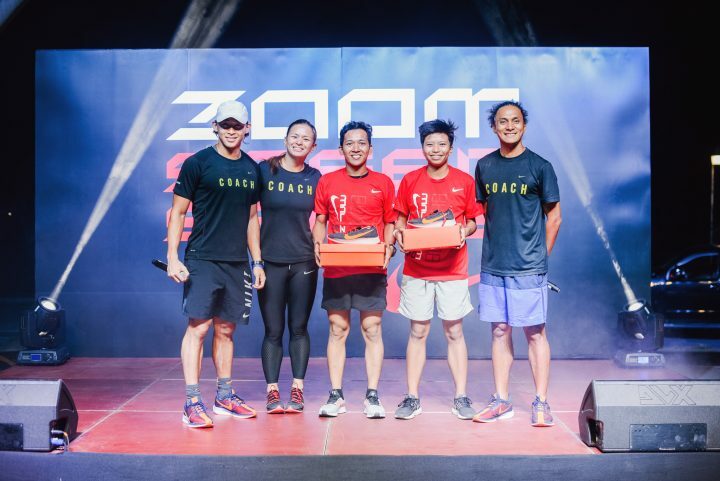 Last October 25, Nike held the Zoom Speed Series MNL, an event that’s all about speed and intensity with the main goal of pushing the participants to run their fastest 1 kilometer yet. Yet despite this event description, I literally had no idea what to expect that night. “So less than 10 minutes lang tayo tatakbo tapos okay na? tapos na yung event?” was what I initially thought upon learning about this 1KM run. I thought it would be bitin…clearly, I was wrong. 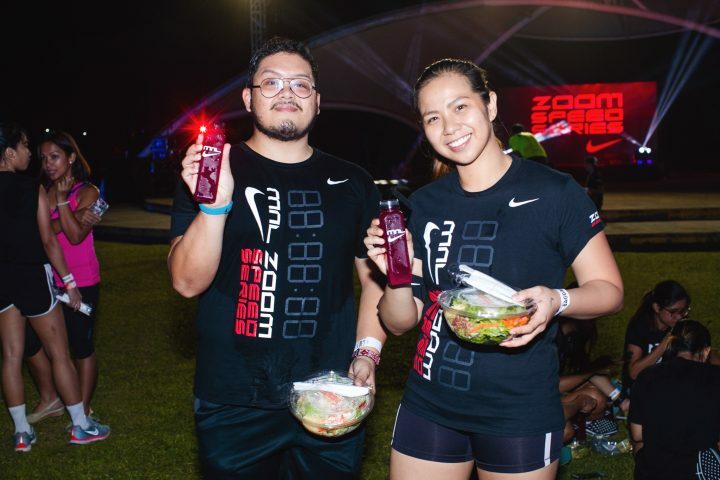 The Zoom Speed Series MNL is a FREE event for everyone who was able to register in the Nike Run Club (NRC) app. The slots are limited so you might always want to check your NRC apps for upcoming events. 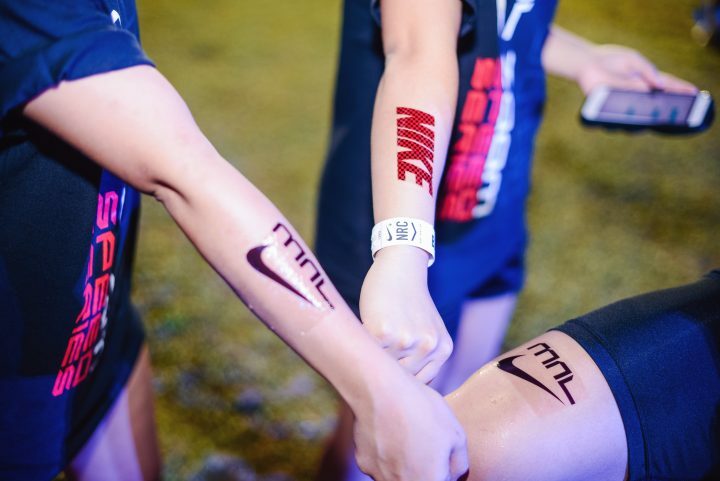 Free Zoom Speed Series Nike Shirts, Hydration, and Nike tattoos were given upon registering to the event! 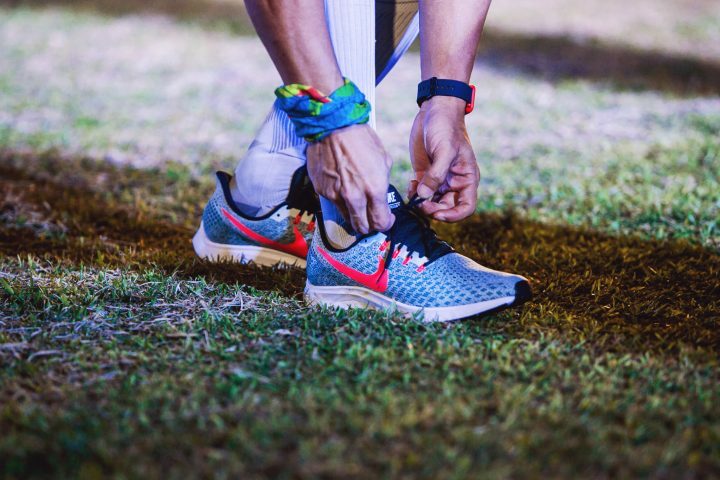 You can even fit and test run a Nike Pegasus for the event itself! I mean who wouldn’t love these kinds of freebies? To make things even more interesting, SEA Games multi-gold medalist and a famous face of triathlon, Nikko Huelgas, was present in the event. In fact, he was the very first one to try the race course! But before we even got anywhere near the starting point, Nikko already gave a fair advice/warning that the “ the shorter the run, the longer the warm-up”. The warm-up was full of dynamic stretches lead by Nike coaches and hands-on pacers. 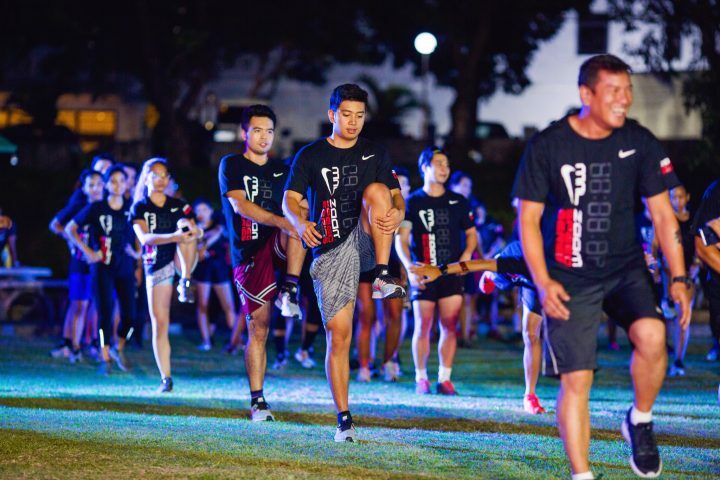 They knew that participants will sprint their way to the finish line for a chance to win a pair of Nike Pegasus so they made sure that warm-ups will prepare everyone to push themselves to their limit! Lunges, air squats, knee-high jumps, burpees, and a lot more speed drills! 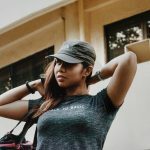 The warm-up itself felt like an entire HIIT workout and got everyone feeling hyped! So when it was finally game time, we knew we were ready to race! I’ve been in UP for years already and many of us have probably jogged around UP at night for at least a couple of time. But never have I seen UP THAT beautiful at night. The entire 1 km was lit with red neon lights which definitely set the mood and gave a more amped up vibe of UP. The entire route was full of speakers blasting energetic songs that definitely pumped up and hyped every runner to hit their fastest 1 km yet. As soon as Coach Rio Dela Cruz said “Runners Go!” the friendly faces of every participant is suddenly gone. Suffice to say everyone wanted to finish the course with a new PR and a chance to get a new pair of Nike Pegasus in mind! And to top it all off, fresh salad and drinks were given to every participant after the event! 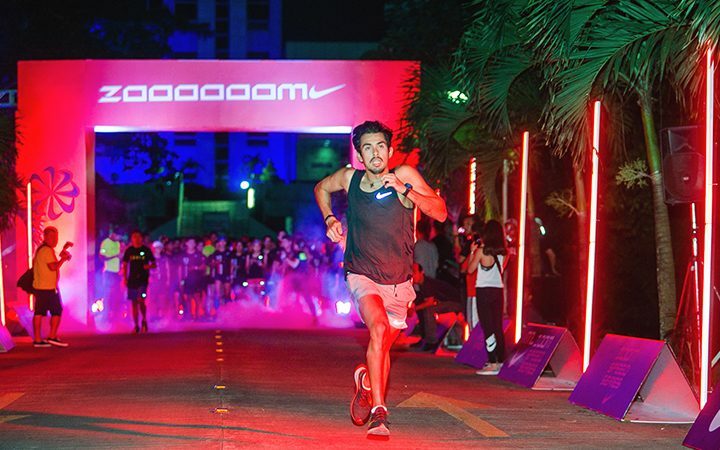 The Zoom Speed Series MNL was an event to help participants run their fastest 1 km, but everyone came home with a new PR, an undeniable surge of endorphins, and a night to remember! 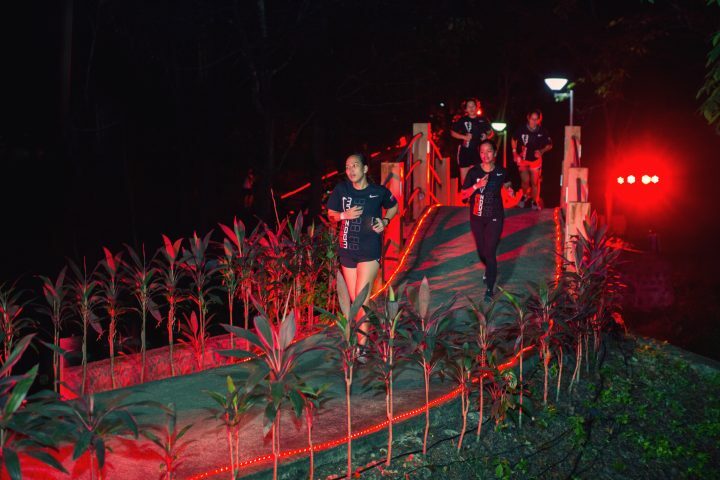 Nike usually holds events like this and announces it through the Nike Running Club (NRC) app. If you want to be part of the next event you can download the NRC app here!